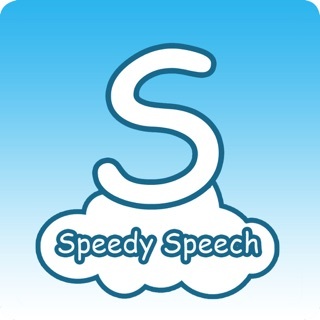 Welcome to the Speedy Speech™ App, an all-inclusive intervention program designed to help both children and adults correct speech errors quickly and efficiently through short 5-10 minute, one-on-one drill sessions. This app is structured in design and flexible in use. 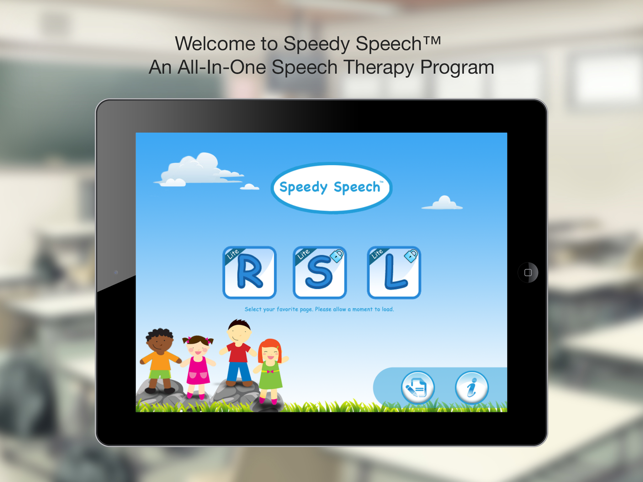 It is ideal for speech therapy sessions, practice at home, ESL learners, and school based intervention programs, such as RTI. 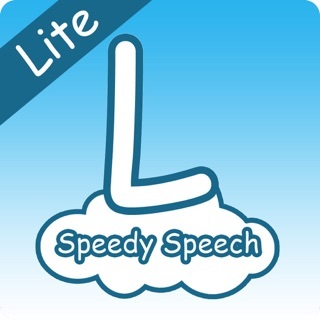 The Speedy Speech™ app has easy navigational menus. 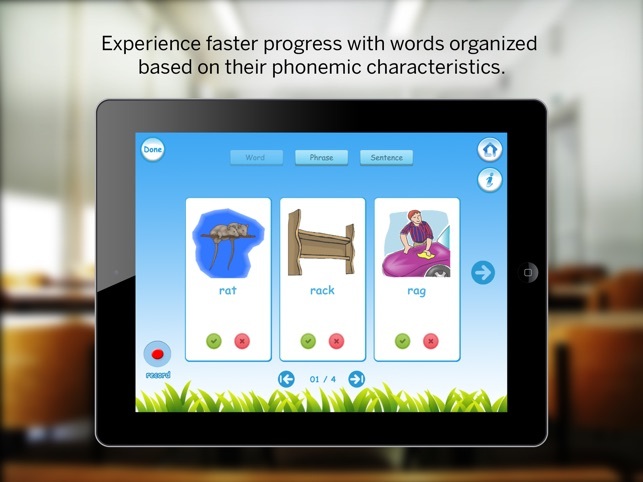 It has a hierarchical model of implementation that begins with auditory bombardment and discrimination, and then progresses through a series of word, phrase, and sentence level drills that include built-in phonemic consistency and co-articulation practice. Each section of the app includes information pages to help guide you through the sound remediation process. 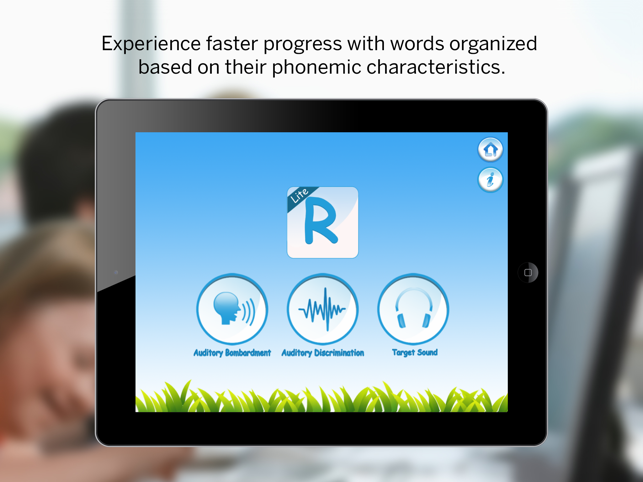 Each step is clearly explained making this app very user-friendly for both speech experts and novices alike. Utilize the 'i' icon throughout the app to access more information about each section. 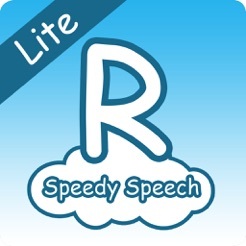 The Speedy Speech™ app is available for sounds R, S, and L (each sold separately). It can be used under the guidance of Speech-Language Pathologists, parents, para-professionals, teachers, or other caregivers in assisting children to improve their speech. 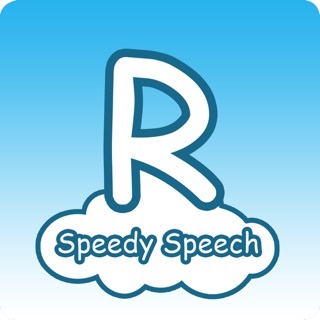 Motivated adults who would like to improve their own speech can use this app independently or as a practice tool when working with a Speech Therapist. The app is evidence-based and incorporates data-driven decision making to ensure the success of the students who use it. It has built-in customizable features, including automatic data collection for each student, sound recording, and voice prompts. ESL learners benefit from repeated exposure to targeted sounds, vocabulary, and correct English grammar. 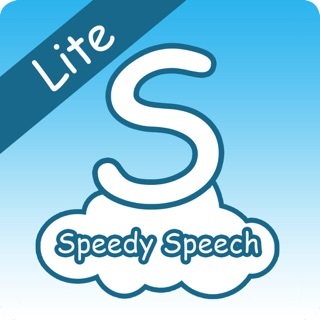 The Speedy Speech™ app incorporates high quality recorded audio samples alongside engaging illustrations that represent vocabulary and English language samples. 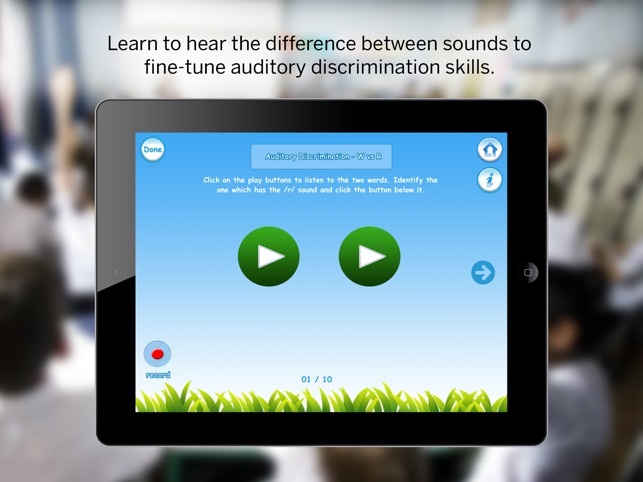 The app also provides numerous opportunities for chorus repetition to imitate native-like pronunciation. As a result, ESL learners can use this app to gain new language skills and improve their prosody and perception of the English language. As an SLP, my students need a natural production of target phonemes. The /r/ phonemes are is produced in a slow unnatural rate which facilitates a neutral /r/.